Strangers Who Matched On Tinder Kept Their Hilarious Conversation For 3 Years, Tinder Sending Them To Maui In Hawaii For First Date! 22-year-old Josh Avsec and 21-year-old Michelle Arendas are both seniors at Kent University, Ohio in United States. 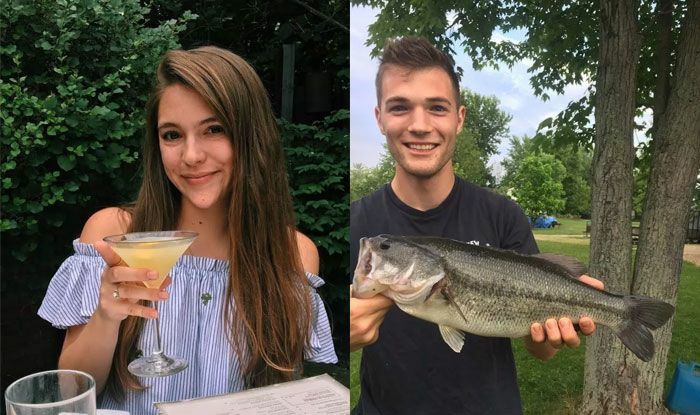 They both matched on Tinder way back in 2014 and did what most people do in such a situation, he sent her a message and waited for a response, until she did. 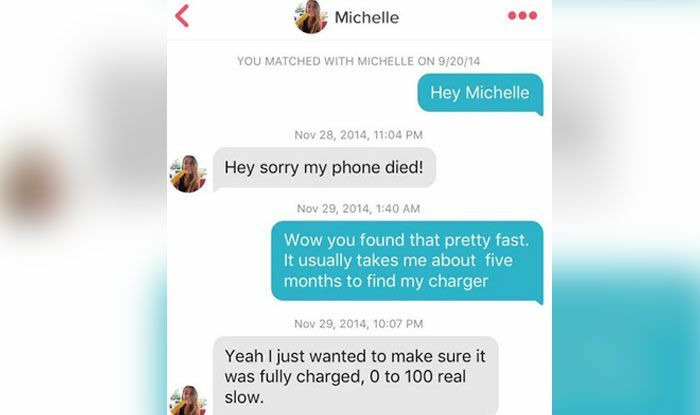 Michelle responded to his message but only after two months later and wrote, “Hey sorry my phone died!” and after a brief exchange the two never spoke again. Then another two months later, Josh decided once again to write her back with his own cryptic sarcastic remarks, “Hey sorry was in the shower,” he wrote, to which Michelle responded another month later. This entire so called “relationship” has continued for the last three years and the two had never met even once. 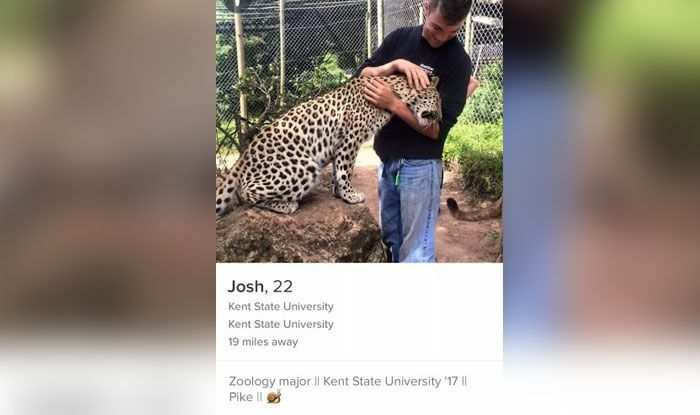 Josh Avsec recently shared the screenshots of the conversation on Twitter which went viral and even Tinder couldn’t handle the suspense anymore so now the dating-app are sending them for their first date to Maui in Hawaii. 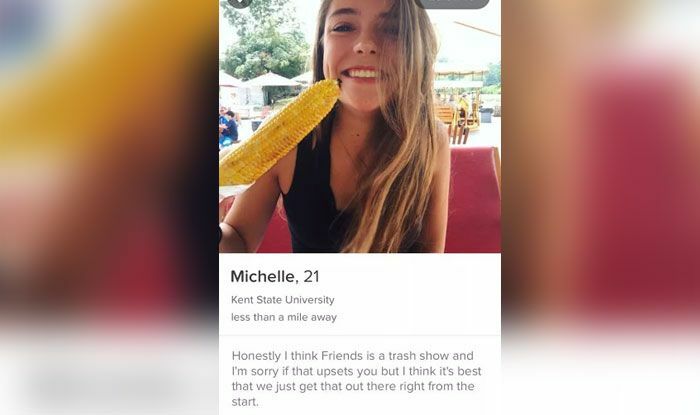 Josh Avsec said that he matched with a lot of girls on Tinder but Michelle Arendas seemed a little ‘different’ than the others.  He said, “”Tinder was super new at the time for my whole friend group. At the time I had matched with a whole bunch of girls and I took it as a joke. I sent [them] some pretty humorous lines. And then I bumped into Michelle. 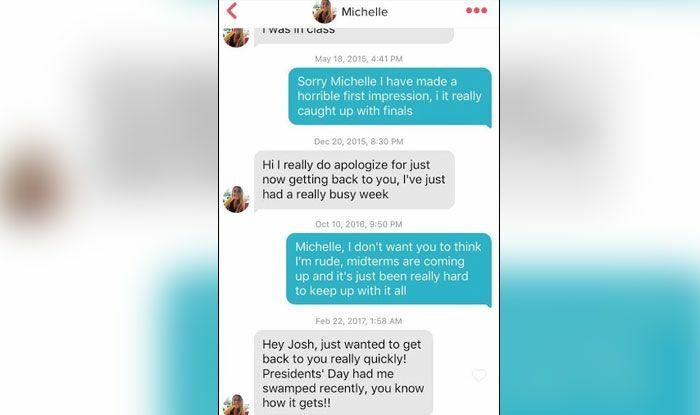 She seemed a little different, so I sent her something different.” Michelle Arendas explained that she had deleted and downloaded the Tinder app multiple times, so she would often miss messages or see them too late. “I wasn’t too serious about messaging — that’s why I messaged him something funny,” she said. Neither of them wanted to be the one to break the conversation and so kept messaging each other every couple of months.’]. Tinder let them choose any city to have their first date and they chose Maui ?? @Wes_03 your history and date are famous in Brazil now ?? @Wes_03 Dude, I just clicked follow to see how this whole tinder thing turns out. Good luck, at least you know it's no catfish! Mark Zuckerberg Faces Biggest Facebook Privacy Scandal and reveal truth behind data and privacy, admits his Mistake!